As a homeowner, one of your first priorities should be to locate a reputable Jericho roofing contractor to work with – even if you do not need one yet. The time will quickly come that you will need this type of professional and it is not the type of decision that you want to make under pressure. Give yourself the time required to do research, ask people you know and interview potential candidates. However, what you are going to find out is what the community already knows and that is that Magnum Contracting Group is the answer. We take great pride in the work that we do and are honored to have the opportunity to provide you with the service that you need. We don't just aim to meet your expectations, our goal is always to exceed them. Your rooftop has the hardest job of all the exterior elements of your home. This is literally what protects the entire rest of your home from the elements. Let us be a part of helping you safeguard that first line of defense, providing you with optimal performance and maximum longevity. When it comes to roof repairs, do you know what to look for? Some red flags are minor while some are much more obvious. The first thing to do is make sure that you have regular inspection service in place, so that you can find out about potential problems, before they have a chance to develop. A lack of maintenance is one of the biggest culprits, and one that can be easily avoided. Get regular preventative service and inspections so that you can avoid surprise emergency repairs. Otherwise, you could end up with the need for replacement, before it should be time. Shoddy workmanship on the installation job will lead to nothing but trouble. The problem is that you may not even know about it at first. Rushed and sloppy roofing contractor jobs will result in higher energy bills, ongoing repair needs and the likelihood of replacement, long before it should be time. Of course, there is plenty more that you should know about, but this should make you more aware. Get proactive about your roofing to save yourself hassle and money. 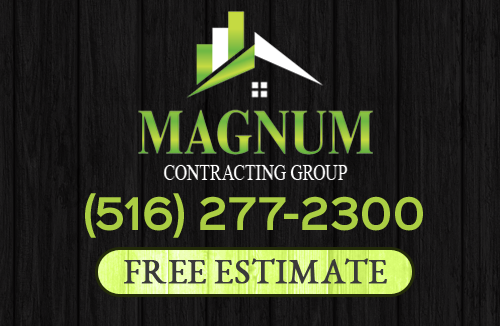 Magnum Contracting Group, your Jericho roofer, can also address your need for roof replacement, once that time comes. Your installation and replacement work is what sets the precedence for the future of your roof and how well it will perform. Get in touch with us today for this, or any of your roofing contractor service needs. If you are looking for a professional Jericho roofing contractor then please call 516-277-2300 or complete our online request form.